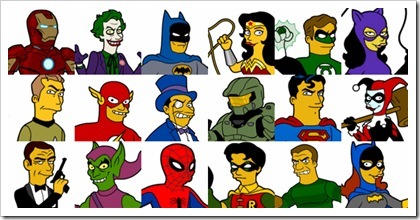 Dean T. Fraser has drawn a brilliant set of Superheroes in the style of the Simpsons at his blog, Springfield Punx. They are giggle inducing. 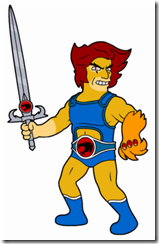 He has just started what might become a Thundercats series. You should definitely check out the blog if for no other reason than to see what the world would be like if we lived in Springfield.